Welcome to Little Miss Smarty Pants. 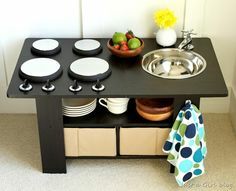 We are always on the hunt for cute, trendy and different products. We like to find things you don't see everyday. Tired of the mall and the same old stores? So are we..... Come on in and stay awhile. 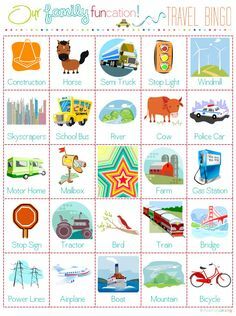 FREE Printable: Keep the kids on the lookout with this "Roadtrip BINGO" on long car trips! 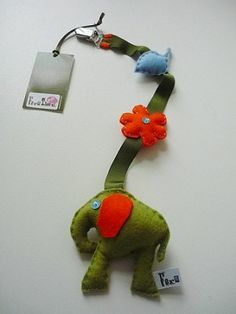 Stroller Toy Handmade in Germany A Green Elephant! 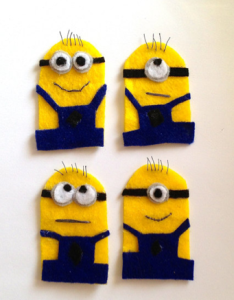 My daughter Livi loves these little guys! I came across a site on Etsy that makes finger puppets. These four little guys are so much fun! The Etsy store that makes these is CraftCabinK. She also has finger puppets of characters such as Dr. Seuss, Star Wars, Super Heros and Animals. © 2012 Little Miss Smarty Pants. All rights reserved.